Makes 5 baths at 30g each. Skin and water softening salts for your bath. 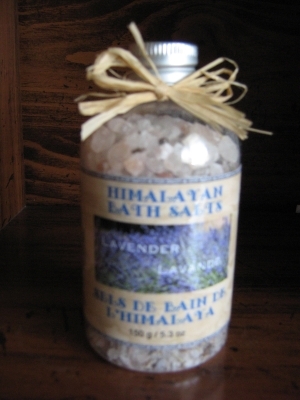 Therapeutically scented Himalayan Bath Salts containing Lavender Essential Oil (lavendula angustifolia). PRICE: C$5.50 - 250g (coarse) - NOW 350g ! HIMALAYAN BATH SALT - WITH SOMETHING EXTRA!